Erosion control is keeping the soil in place with plants. This helps to keep water clean and clear by reducing soil runoff. 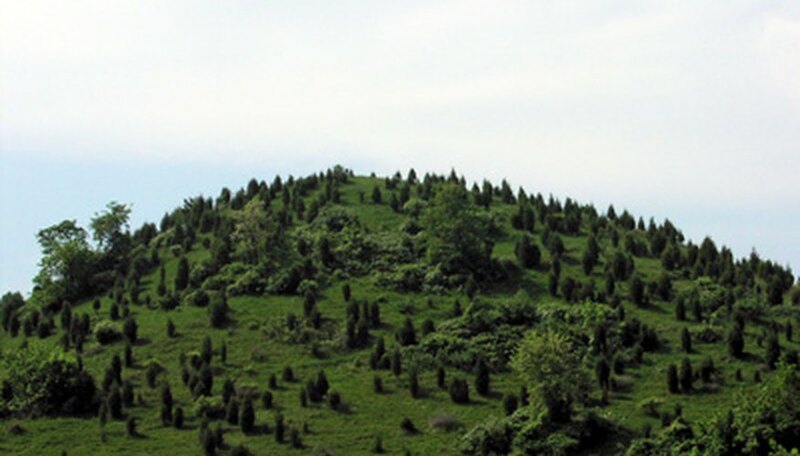 Annuals and grasses are used to establish immediate cover on hillsides. For long-term erosion control, use perennials, shrubs and trees. These types of plants take longer to establish but offer plants that need less maintenance. Black twinberry (Lonicera involucrate) is a deciduous shrub that produces yellow twin blossoms and black berries. This bush grows 10 feet tall and spreads eight feet wide in any moist soil. Black twinberry develops a fibrous, shallow root system that anchors the soil. This shrub prefers full sun exposure. Evergreen huckleberry (Vaccinium ovatum) is an evergreen fruit-bearing shrub. This bush reaches six feet in height in slightly acidic soil. This shrub grows a thick fibrous root system in the upper layers of the soil. Evergreen huckleberry prefers dry to moist conditions in full sun to full shade. This slow-growing bush tolerates salt spray. Nootka rose (Rosa nutkana) is a deciduous shrubby wild rose plant. Nootka rose grows six feet tall and spreads three feet wide. This shrub prefers moist, organically rich soil and full sun exposure. This rose bush spreads through underground roots which creates thick hedges. 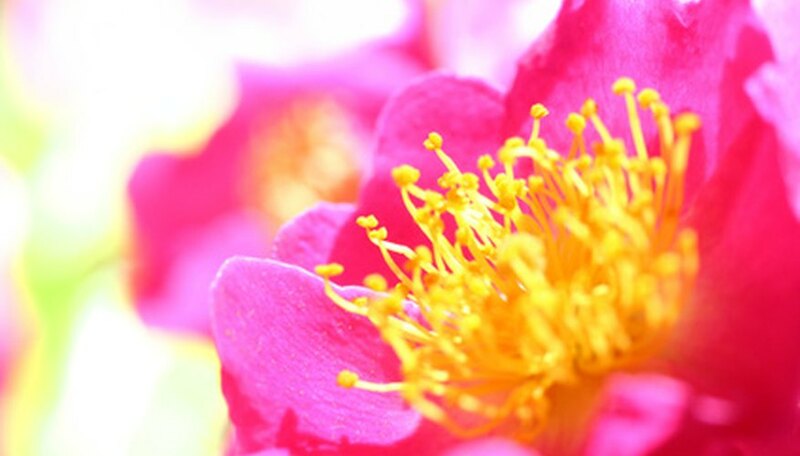 Pink flowers appear in the spring followed by large, red rose hips in the fall. Red alder (Alnus rubra) is a deciduous tree with a 40- to 50-year lifespan. This tree reaches more than 80 feet tall and spreads 40 feet wide. The roots grow deeply and extend a fibrous network that holds the soil in place. 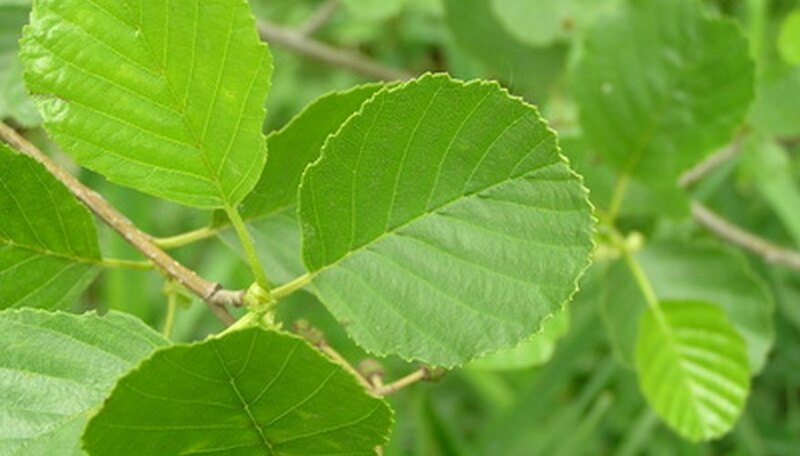 Red alder prefers moist soil and full sun exposure. Salal (Gaultheria shallon) is an evergreen shrub growing only three feet tall and wide. This plant prefers dry to moist growing conditions in partial to full shade. This slow growing shrub uses underground roots to propagate new plants and form thick hedges. Salal tolerates flooding during the summer and survives salt spray.